The Barrel camper is so unique, it's like your own beach bach that you can transport anywhere. 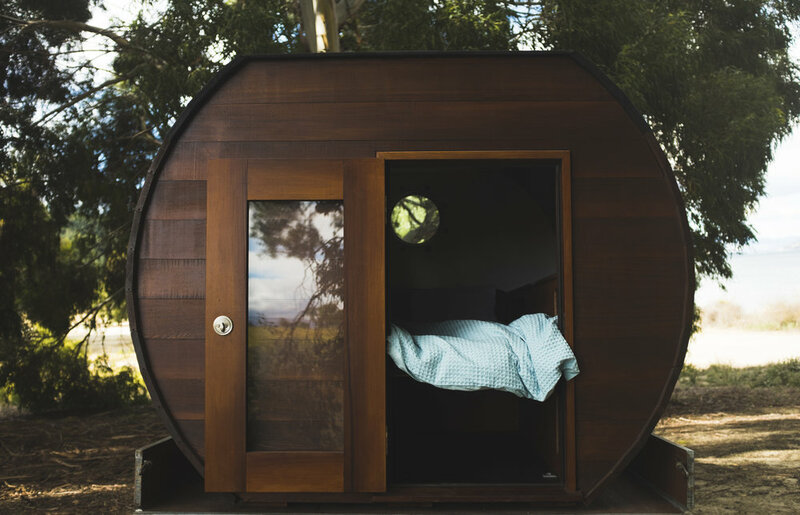 It's perfect for people who want to experience something completely different - be it a romantic getaway for couples or a surf trip with mates, The Barrel is an awesome choice for your road trip holiday. The Barrel offers complete comfort when travelling. Inside it has a stainless steel sink with fresh water on tap, large L-shape sofa that transforms into a comfortable bed, bigger than a queen and it even has its own portable toilet. There is plenty of storage under the seats for all your bags. 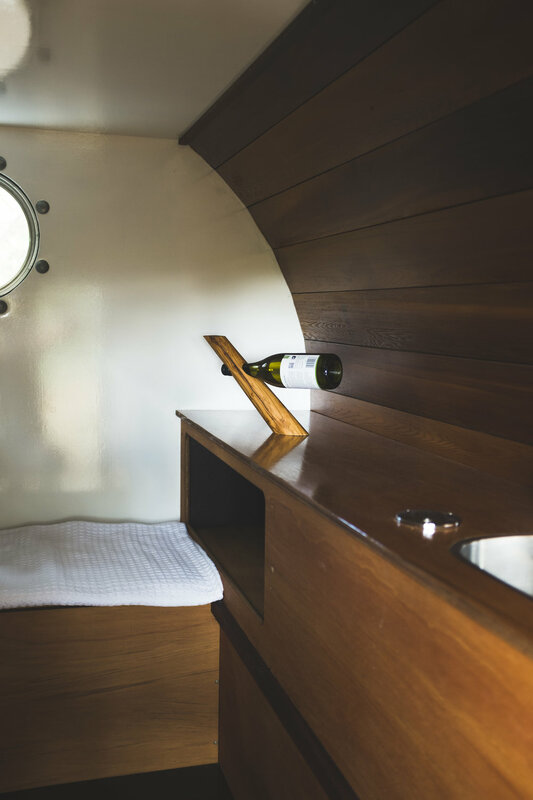 The porthole window at the front opens fully and lets fresh air flow through the room as well as the fitted vents. This vehicle is fully certified to be self contained so it is ideal for freedom camping with no risk of fines - just find a spot you like and park up for the night. For an amazing and truly unique roadtrip! AND YOU CAN CHOOSE TO ADD A SLEEPING BAG IF YOU NEED FOR ONLY $50 /sleeping bag / week. Alternatively, you can rent a duvet to share for $100 per week.